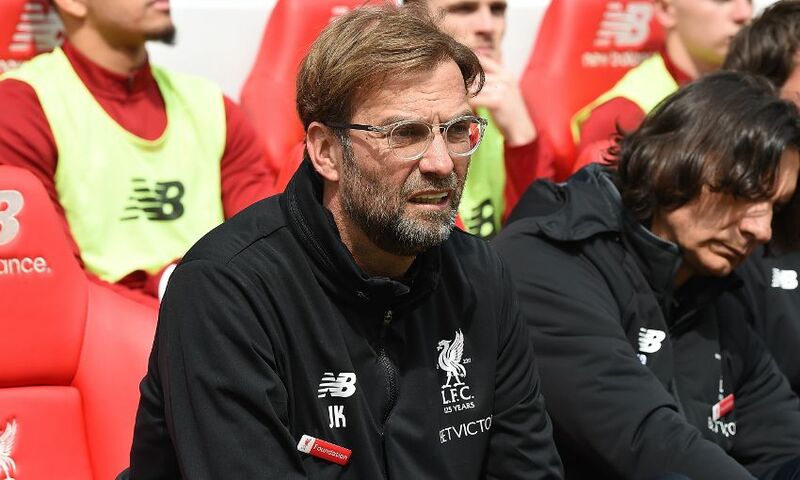 Jürgen Klopp labelled Liverpool’s goalless stalemate with Stoke City ‘not the best day of my life’, but the boss has accepted a point with his attention now turned to Wednesday’s trip to AS Roma. The Reds saw two appeals for a penalty waved away at Anfield on Saturday afternoon, while Mohamed Salah missed a presentable early chance and Danny Ings had a goal disallowed for offside shortly before half-time. Despite their dominance of possession and territory throughout, Klopp’s team could not force a breakthrough in the face of a Stoke defence that defended en masse and deep for much of the contest. Liverpool, though, are still well placed to claim a top-four finish in the Premier League and the manager’s immediate focus is now on securing a place in the Champions League final after last Tuesday’s 5-2 semi-final first-leg win over Roma. “Frustrating? I’m not sure, it is how football can be,” Klopp said at his post-match press conference. “We met Stoke in the moment when they thought a point could be enough [to stay up] still otherwise they had to play different, but if they think they can win the next two games and have a chance with that then we cannot change that opinion. But you saw it in the game if you don’t take the lead then... we had two opportunities for that - a fantastic chance for Mo. “Let me say it like this, Trent Alexander has a dead leg and there was for sure contact there. He was limping from that moment on. We scored an offside goal, we were obviously in charge of the game but not brilliant, but that’s normal in that situation. “Then second half we started normal and with two changes we had kind of a breath of fresh air, it was really good. Millie was good, Clyney good and helped us, we were much more often in the box and stuff like that. Then we had the situations, kind of chances, but they fought with all they had in the box and the six-yard box.